Firstly, an apology for the the delay in posting this blog about the race, I know my millions of readers, OK thousands, maybe hundreds, OK my mum will be disappointed! 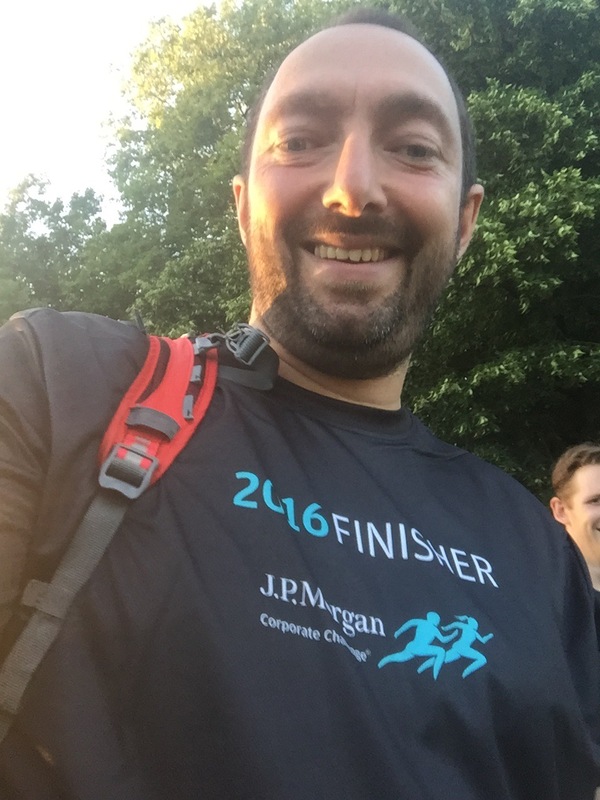 The JP Morgan challenge is a staple race. of most runners who work for big organisations in London. It’s been going for 30 years I think, is run over two nights in Battersea park. 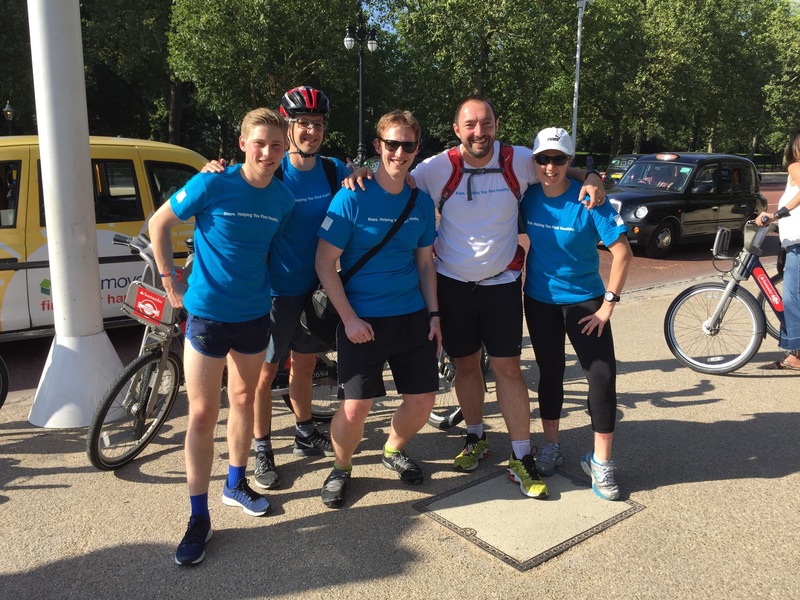 5.6k round the park, run in your company t-shirt and a bit of a giggle. Over the years I’ve maybe run it 8-10 times and it’s never been the race I look forward to the most but for various reasons I always end up doing it. 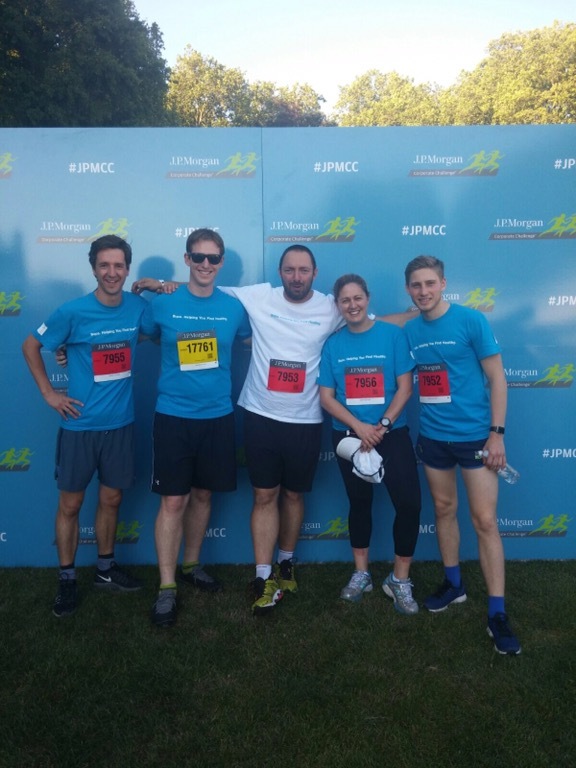 This year, I organised a team of 6 of us from my team at work to run it who had all never done it before but were keen runners. 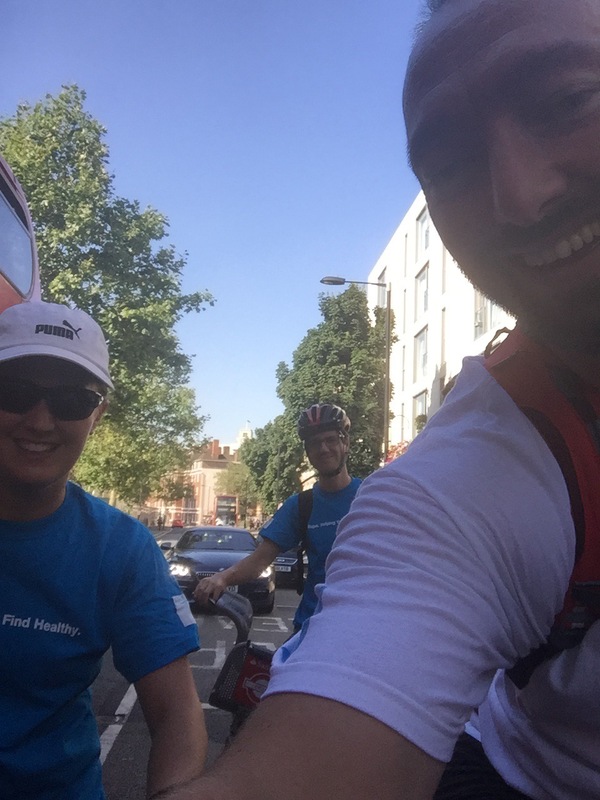 From the office in Holborn we decided to cycle on boris bikes to Battersea. 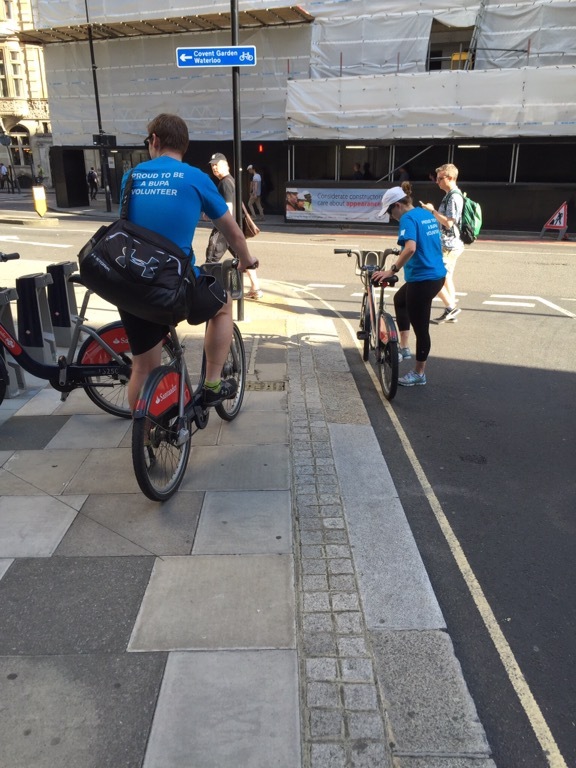 First time cycling through central London at rush hour. So firstly, somehow I made it! Good god it was scary! On at least 3 occasions I thought I was going to die or watch someone from my team die!!! Jess gets a special kamikaze mention! I can’t lie, I got off my bike and kissed the ground in true papal style! The white t-shirt, when everyone else was wearing blue! They didn’t do the team t-shirts in my size but we dressed it up as I was wearing a different shirt as team captain to show my importance…. Once there, got ourselves sorted and into the pens. I’d lied about my expected finish time to make sure I actually started roughly on time and also got a t-shirt at the finish (I’ve never had one as they always run out). Anyway, the pen worked out broadly OK and I got dragged along with the other runners. I had a bit of a struggle at 3-4k as I’d been diagnosed with tonsillitis in the morning so my throat wasn’t great and the dust kicked up round the park had turned my throat to concrete mixed with sandpaper! Some water at the water stop fixed that and I came in about right time wise and yes ladies and gentlemen…. I GOT A T-SHIRT!!!!! So in conclusion, nice evening spent going for a run with nice people. If you get the chance, do it but if you don’t, no big deal! ← King for a Day !